Clara Aranda is a PhD student at the Institute for Manufacturing. Her research focuses on developing design tools to improve the designing medical devices for low-resources. She has a background in sustainability and global health which has led them to work on infrastructure and technology projects for healthcare in developing countries. She has an interest in sustainable development, planetary health and innovations for low-resource settings. She worked previously for the World Health Organisation, UNICEF Supply Division, the Institute of Public Health at the University of Heidelberg and Singapore University of Technology and Design. 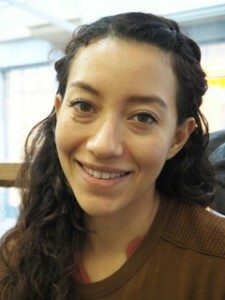 Clara studied a a BSc in Biomedical Engineering at Tecnológico de Monterrey (México) and a MPhil in Engineering for Sustainable Development at the University of Cambridge. Her research project was awarded support from the National Council of Science and Technology in Mexico, R&D Management Association and the Design Research Council.